DIRECT FROM LOURDES - Card - Wishing You Peace and Blessings at Easter. 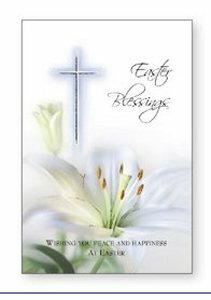 Card - Wishing You Peace and Blessings at Easter. Easter wishes card with gold foil. Wishing You Peace and Blessings at Easter.